Previous PostPrevious Bette Midler Joins Hocus Pocus 25th Anniversary Show TONIGHT! Next PostNext It’s Not Too Late: Buy Discounted “Old-Style” Tickets by Oct. 26! When the Play Disney Parks App was launched this summer it was with the promise of updates and additions. Since the launch we’ve enjoyed the addition of curated playlists and a fun Halloween makeover. Now, two new additions are being added to the App. You’ll be able to experience the new additions when you’re in Animal Kingdom‘s Pandora and the Art of Animation Resort. 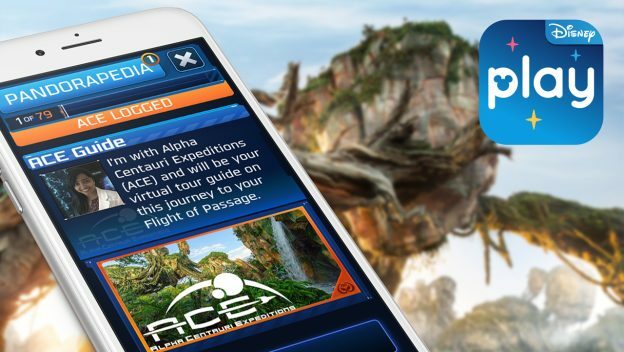 When you’re in Pandora, open up the App and become a part of Alpha Centauri Expeditions (ACE) as you explore the colors, cultures and creatures of Pandora. 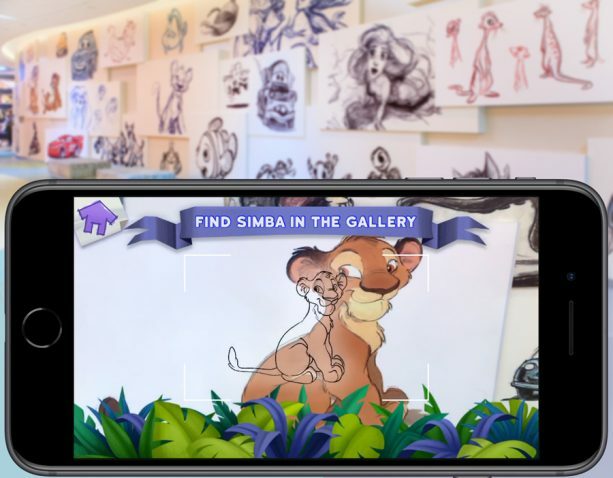 When you open the Play Disney Parks app in the art-filled walls of the Art of Animation lobby you can bring the drawings to life while checking in or enjoying your stay. Through the app, you’ll become an animator, creating themed art that transforms into living, breathing stories inspired by Finding Nemo, The Lion King, The Little Mermaid and Cars. You’ll also be able to earn, collect and share several new Play Disney Parks achievements as part of these two new experiences. And, while in the app, keep your eyes (and ears) open for some great new Apple Music playlists featuring songs inspired by Disney animated films, Disney lullabies and even classic Disney tales read aloud. The App can be downloaded from the App Store or Google Play. Remember, message, data and roaming rates may apply. Note that some features require separate theme park admission. Some features require Apple Music subscription and are only available on iOS devices. Separate terms and conditions apply. Don’t forget to read all about the Disney Parks Play app here. Next PostNext Seven Disney World Hacks to Help You Tour Like a Pro!